The BYD F0 is a member of the A-segment of five-door family cars, a popular class of cars in many parts of the world. 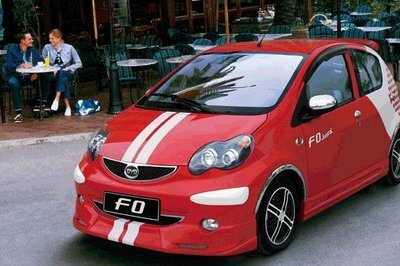 However, unfortunately for the Chinese automaker’s legal standings, the F0 is a near carbon copy of the Toyota Aygo. While we’ll steer clear of the legalese, its important to note the F0 won’t likely make a jump into the U.S. market. Besides the troubles above, the F0 is a decent little five-door hatch. Its tidy dimensions make it a good option for close-quarters city driving and its spacious interior is plenty big for four passengers; five if they’re small. Speaking of small, its three-cylinder engine is better measured in cubic centimeters rather than liters, coming in at only 998 cc. A five-speed manual transmission sends all 67 horsepower to the front tires. 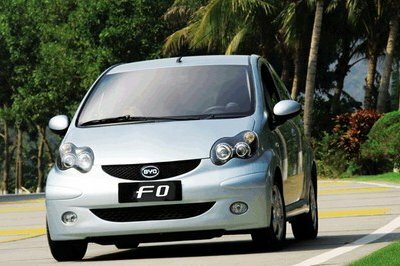 With such a compact engine in a compact car, the F0 is estimated to get roughly 56 mpg on the highway. While it may be a direct copy of the Aygo, the car still offers a decent package for Chinese buyers looking for an inexpensive hatch. 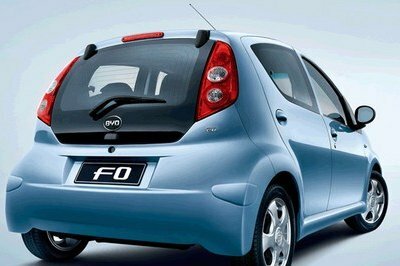 Click past the jump to read more about the BYD F0. Well, if you haven’t already read it, the F0 gets its handsome good looks from its Japanese neighbor, Toyota. The headlights look more like those found of older Mercedes-Benz C-Class sedans, however. The car is small, measuring only 136 inches. That’s only 30 inches longer than a Smart Fortwo and 30 inches shorter than a Ford Fiesta. Its wheels are placed very close to the corners, giving it plenty of interior volume. A large panel of glass makes up most of the rear hatch, giving the driver a nearly unobstructed rear view. Things inside the F0 continue with the Toyota vibe. A tall and narrow center stack houses vertical HVAC controls with a simple radio and a cubby hole sitting on top. 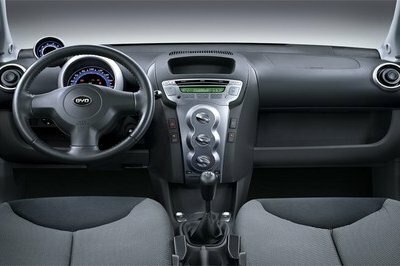 A center-mounted speedometer rests behind the steering wheel with an offset tachometer branching off to the left side. Round air vents let outside air into the cabin. Another large storage bin sits below the passenger side airbag and allows for good sized items to be kept. The lack of a transmission tunnel means the floor is nearly flat, allowing for more rear seat foot room. The 1.0-liter three cylinder is transversely mounted and mates to a five-speed manual transmission that powers the front wheels. The little gasoline engine makes just 67 horsepower and 66 pound-feet of torque. The engine does feature a high compression ratio at 10.5:1 and conventional multipoint fuel injection. Top speed is listed at 94 mph, and I am sure it takes some time to reach that speed. Sixty mph comes in at an estimated at 19 seconds; she’s certainly no speed demon. It’s hard to find accurate pricing for the China-only F0, but our best digging reveals an MSRP of roughly $12,200 at current exchange rates. While the xD might be slightly bigger than the F0, it fills nearly the same role. 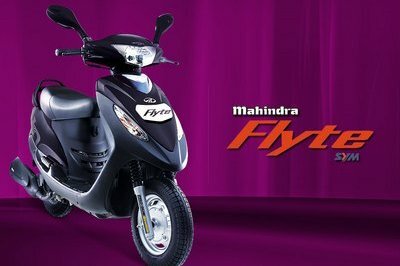 Its small size allows it to fight city traffic with ease, though its peppier engine gives it more ammo to fight with. The xD comes powered by a 1.8-liter, four-cylinder engine making 128 horsepower and 125 pound-feet of torque. That extra power over the F0 is used to haul the xD’s extra size around, but know the Scion would handily outrun the BYD any day of the week. 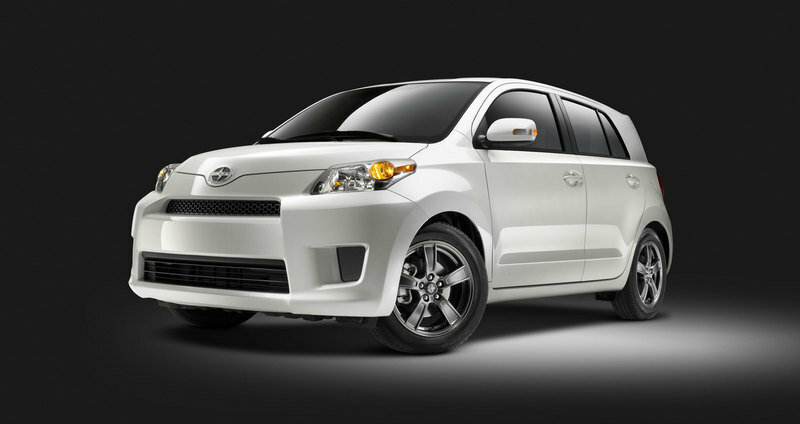 Pricing for the Scion xD starts at $16,690 for the manual transmission and $17,490 for the automatic. Like the Scion xD, the Honda Fit is a bit larger than the BYD F0. Its extra size affords it more passenger and cargo room, while its larger, 130-horsepower, 1.5-liter, four-cylinder engine moves it with more thrust. 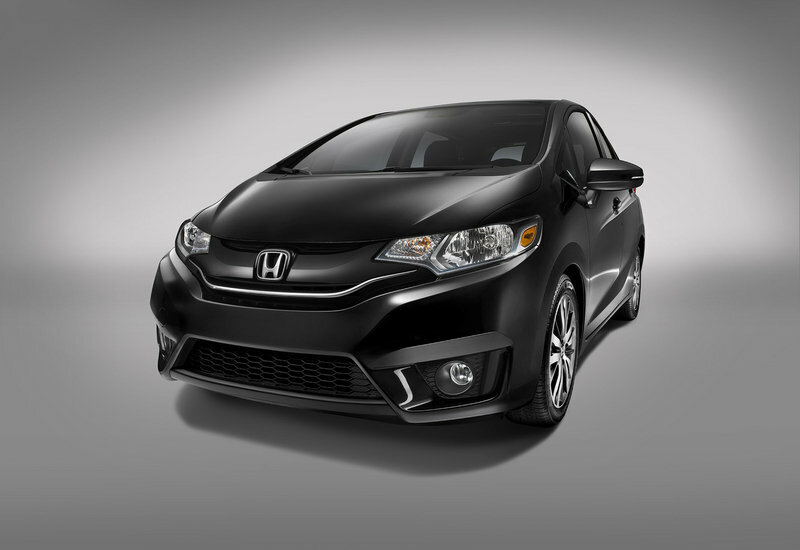 The Fit comes with either a manual transmission or a CVT to power its front wheels. Pricing starts at $15,525 and maxes out at $20,800 for the top-trim EX-L with navigation. The BYD F0 is a compact city car that has a lot going for it. Unfortunately, those are the same things the Toyota Aygo has going for it. The lack of originality gives the F0 a rather bad rap, especially in the U.S. If BYD decides to bring such a car to the States, we can expect a significant, if not complete redesign.